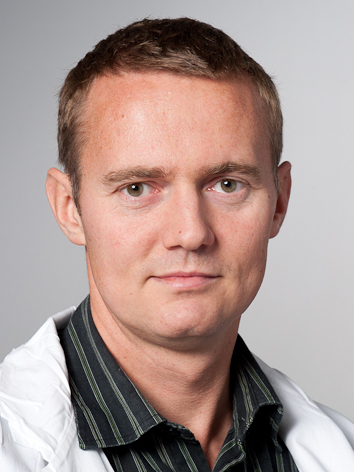 Research Head, Division of Surgery, Inflammatory diseases and Transplantation, Oslo University Hospital. Full professor of internal medicine, University of Oslo. Senior consultant, Department of Transplantation Medicine, Oslo University Hospital Rikshospitalet. Sampaziotis F, Justin AW, Tysoe OC et al. (2017) Reconstruction of the mouse extrahepatic biliary tree using primary human extrahepatic cholangiocyte organoids. Nature Medicine, 23, 954-963. Ji SG, Juran BD, Mucha S, et al. (2017) Genome-wide association study of primary sclerosing cholangitis identifies new risk loci and quantifies the genetic relationship with inflammatory bowel disease. Nature Genetics, 49, 269-273. Wang J, Thingholm LB, Skiecevièienë J, et al. (2016) Genome-wide association analysis identifies variation in vitamin D receptor and other host factors influencing the gut microbiota. Nature Genetics, 48,1396-1406. Ellinghaus D, Jostins L, Spain SL, et al. (2016) Analysis of five chronic inflammatory diseases identifies 27 new associations and highlights disease-specific patterns at shared loci. Nature Genetics, 48, 510-8. Sampaziotis F, Cardoso de Brito M, Madrigal P, et al. (2015) Cholangiocytes derived from human induced pluripotent stem cells for disease modeling and drug validation. Nature Biotechnology, 33,845-52. Goyette P, Boucher G, Mallon D, et al. (2015). High density mapping of the MHC reveals a common role for HLADRB1* 01:03 in IBD and heterozygous advantage in ulcerative colitis; Nature Genetics, 47 (2), 172-179. Hirschfield GM, Karlsen TH, Lindor K, Adams D, (2013). Primary sclerosing cholangitis; Lancet, 382 (9904), 1587-99. Liu JZ, Hov JR, Folseraas T, et al., (2013). Dense genotyping of immune-related disease regions identifies nine new risk loci for primary sclerosing cholangitis; Nature Genetics, 45 (6), 670-5. Jostins L, Ripke S, Weersma RK, et al., (2012). Host-microbe interactions have shaped the genetic architecture of inflammatory bowel disease; Nature, 491 (7422), 119-24. Primary sclerosing cholangitis: 50 years of a gut-liver relationship and still no love?